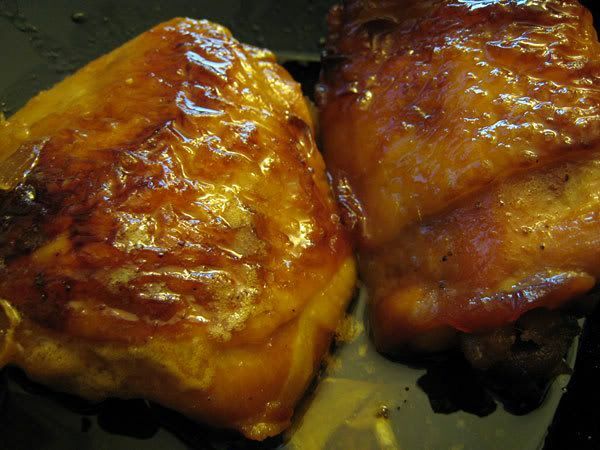 I used the juice of one lemon, a teaspoon of chicken base, some ginger sliced very thin, honey to taste and soy sauce to marinate the chicken. Then I baked it for 30-40 minutes till done basting occasionally. I took the pan juices and poured them into a pot where I boiled them down (adding a bit more honey, some wine and a teaspoon of molasses) till they were reduced and thick. The chicken had some adobo seasoning on it too, i think. 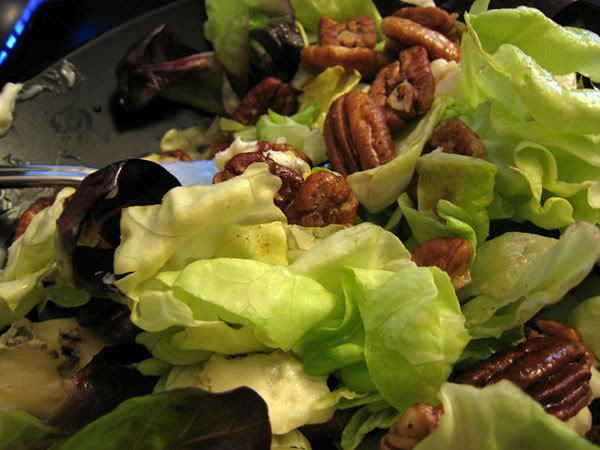 The salad had gorgonzola and pecans toasted in the oven with butter and salt. I made a dressing out of pear balsamic vinegar and olive oil. In "chicken", "food", "ginger", "gorgonzola", "honey", "lemon", "pecans", "recipes"